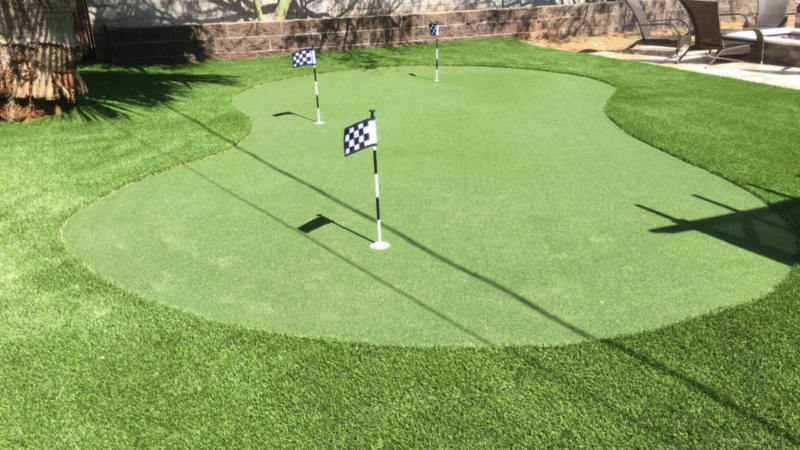 Synthetic grass can be placed anywhere—front or back yard/commercial lawn landscaping, kids play area, dog runs, poolside, around pavers and sidewalks, and for sports uses. The uses are endless, really, so get creative! 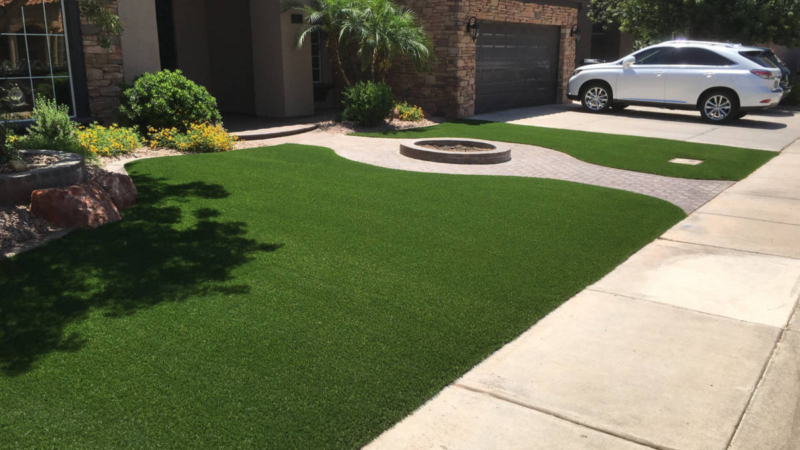 The turf we use stands up to even the highest foot traffic, and can last up to 20 years, even in the Phoenix sun. Clean loose debris from lawn surface using leaf blower on low setting, broom or rake. Clean/ vacuum area where debris builds up (normally is around the edges). 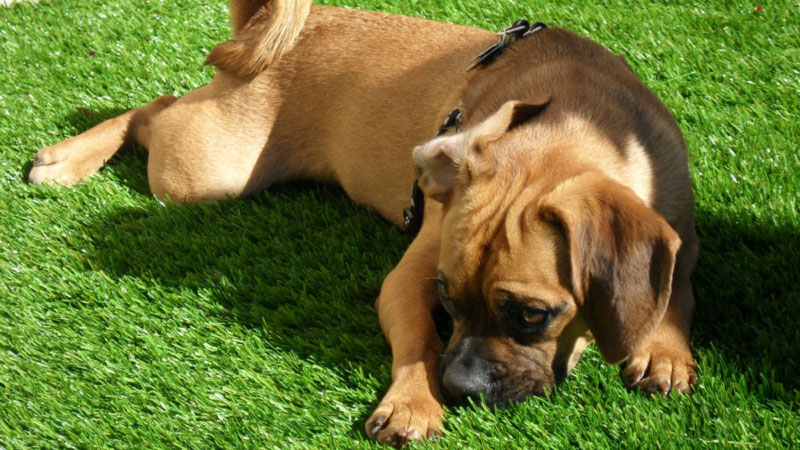 Hose down the lawn periodically to help clean the dust and flush out any urine or spills (do weekly for lawn with dogs). To keep fibers upright, brush the fibers with a stiff broom monthly. This will be needed more frequently in the high traffic locals. Yearly maintenance with powerbroom by AZGrassman. Sand infill may be needed occasionally. For stubborn odors, use 1:1 ratio of water and baking soda. For hard water stains spray area with 1:1 ratio mixture of water and vinegar, then rinse with clean water. Keep any kind of flame (cigarettes, grills, fireworks, etc.) 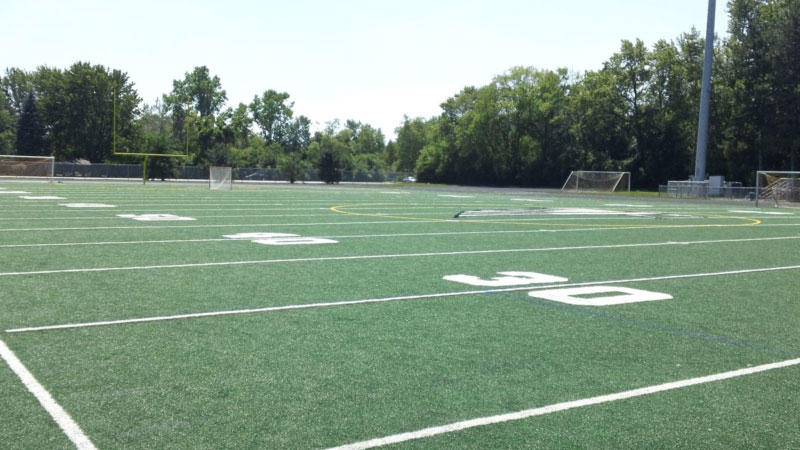 away from the turf, as well as glass that may magnify the sunlight and burn the turf. Remove any existing grass or landscape rock. This is done to prevent decay over time that may cause ripples in the turf. At this time you may want to apply a pre emergent or weed killer. Spread 1/4 minus granite to a depth of 2 – 4 inches as level as possible. Wet the granite so it is moist clear to the bottom. Tamp area with plate compactor or hand tamp. 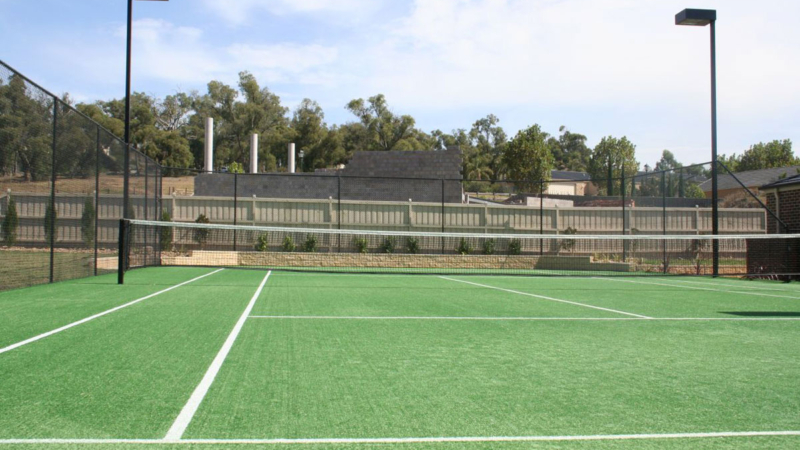 Lay turf in the area and allow to relax for a short time. Use several 16 common nails to secure turf in the middle of the area (this is to make sure the turf does not move while cutting into place). 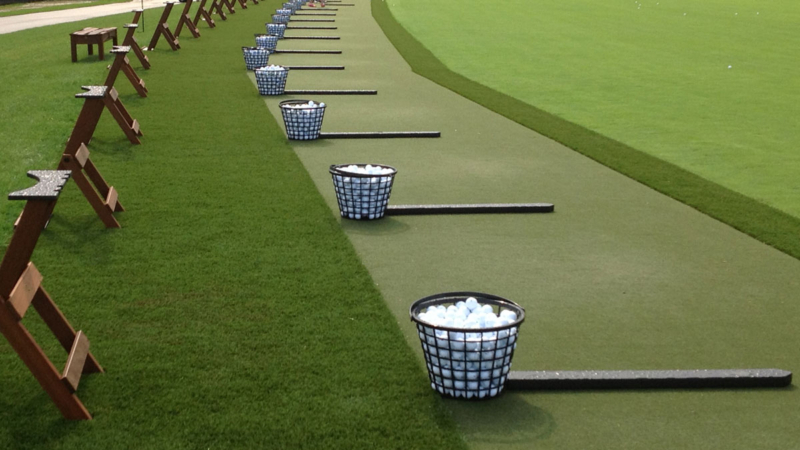 Stretch out any bubbles in the turf with a carpet kicker or using hands to stretch and use 16 common nails to secure. Once in place use a box cutter or other sharp instrument to cut turf to desired outline. 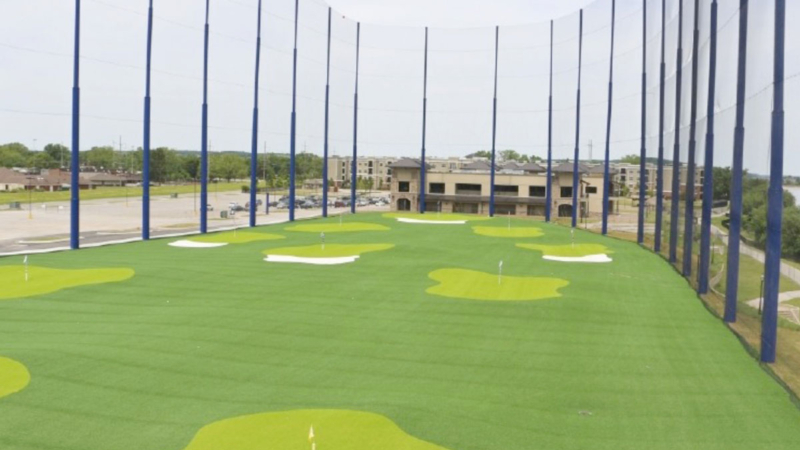 Once in place nail the edges of the turf staying as close as you can to the edge with the nail going every 6 – 10 inches around the perimeter being careful not to “pinch” the turf fibers down with the head of the nail. If you have seams, cut close to the stitch lines on the back. Arrange pieces together until you can’t detect the seam and put several nails in the middle of the turf to secure while you are seaming. Turf usually has a grain so make sure you keep the grain going the same way on both pieces. You can use seam tape if desired but is not absolutely necessary. Once seams are the way you want, nail on each side of the seam close to the edge. Do this on each side of the seam 1 – 2 inches apart along the seam. Once all seams are done and the turf is cut into place and nailed all around, use a stiff bristle push broom and push the broom against the grain to get the turf to stand up. Once turf is standing, infill the turf with a minimum of 1 pound per square foot of #20 silica sand using a lawn drop spreader. You may need more sand depending on the turf or if the turf won’t stand up. Once sand has been put on the turf you will need to brush it into the turf using the stiff bristled push broom until you can’t see the sand. 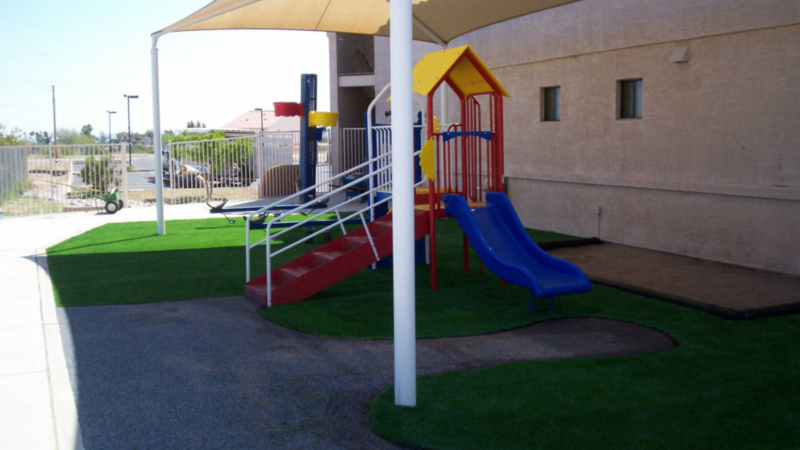 Finally take your garden hose and wash the turf down to get rid of any dust or sand that may be on the surface.